Why jewelry? Amelia's first jewelry designs were as gifts for family and friends who then insisted she should have a website boutique and transform her talent into a lucrative business. Her belief is that the art of jewelry making, like fashion, has no rules and no pattern or style is ever obsolete. Her talent for creating unique jewelry which reflects certain moods is truly inspirational! So welcome to Amelia’s world of jewelry and fashion! 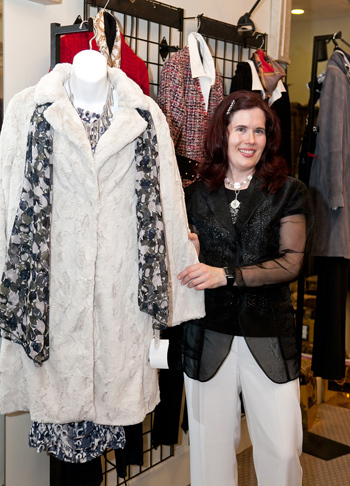 Her one-of-a kind designs are sold through scheduled exhibits and jewelry presentations at the client's location. Custom designs are created according to color, bead type, & attitude (see "moods" page for details). As a photographer, Amelia exhibits her showcase of jewelry photographs throughout this website. Amelia Williams (also known by Amy Williams), has been known among her friends and colleagues as always having a flare for creative expression including a real eye for coordinating colors, patterns, & accessories to make a personal fashion statement. She has continuously been complimented on the uniqueness of her personal style, & Amelia is now offering this talent to others as a specialized service: personal image makeover.